US President-elect Donald Trump on Monday lashed out at Chicago authorities over the record homicide rate in the city, suggesting that incumbent mayor Rahm Emanuel should seek federal support while being unable to cope with the situation himself. Chicago Mayor Rahm Emanuel urged US President-elect Trump during their meeting in New York on Wednesday to preserve the Deferred Action for Childhood Arrivals (DACA). Michael Wood Jr., the former Baltimore police officer and Black Lives Matter supporter who famously took to Twitter to describe misconduct within the department, has applied to be Chicago’s new police superintendent. He told Sputnik he feels a “moral imperative” to see real justice served. It seems police officers in the US have no alternative but to shoot people when responding to domestic disturbances. That must be the case given the latest incidents in Chicago where a policeman killed a black woman and a black teenager. 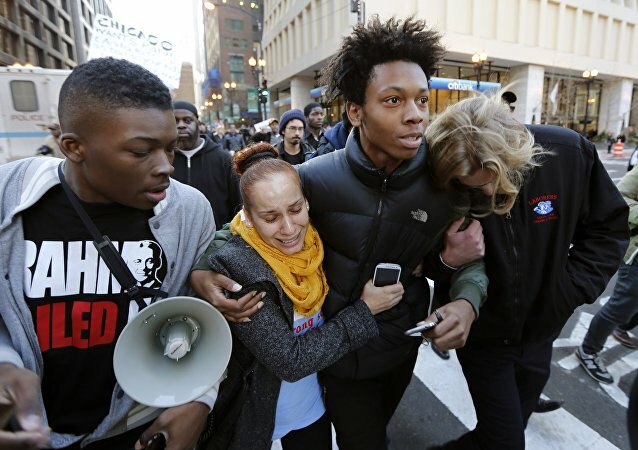 Coalition for a New Chicago President Gregory Livingston said that the protests following the police killing of Laquan McDonald are "wonderfully peaceful and organized and at the same time, impactful and effective." Shortly after Chicago Mayor Rahm Emanuel apologized for police misconduct in his city, a massive protest erupted calling for his resignation. 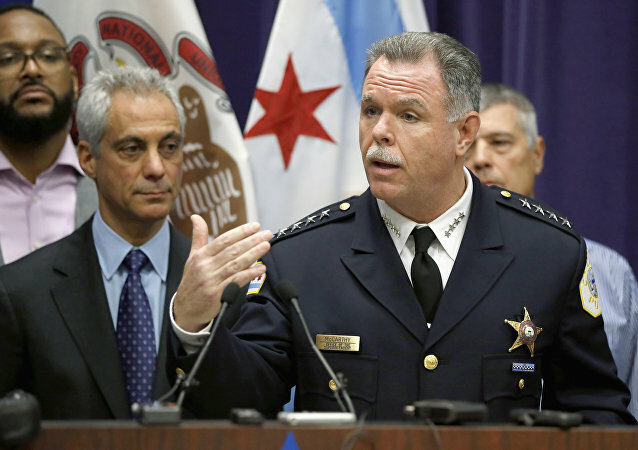 Chicago Police Superintendent Garry McCarthy has been ousted by Mayor Rahm Emanuel in light of the Laquan McDonald controversy. 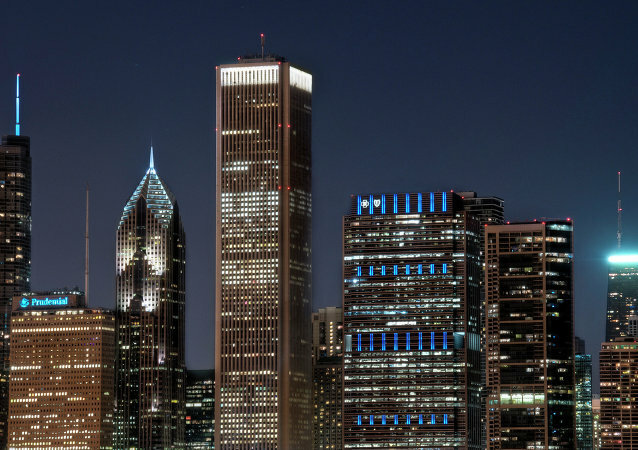 Moody’s Investors Service double downgraded Chicago’s credit rating to "junk" status on Tuesday, citing the city’s growing underfunded pension liability and a recent Illinois court ruling voiding state pension reforms. Convicted former Police Commander Jon Burge has publically condemned a reparations fund that would support victims of police torture, whom he referred to as human vermin and “guilty, viscous criminals." He also believes he will be "vindicated." Rahm Emanuel has scored a second term on Tuesday evening, after a hard battle against his opponent Jesus “Chuy” Garcia. His win was announced with 70 percent of the vote count in, as he held onto 56 percent of the votes. Polls open in the first mayoral runoff election in Chicago history. 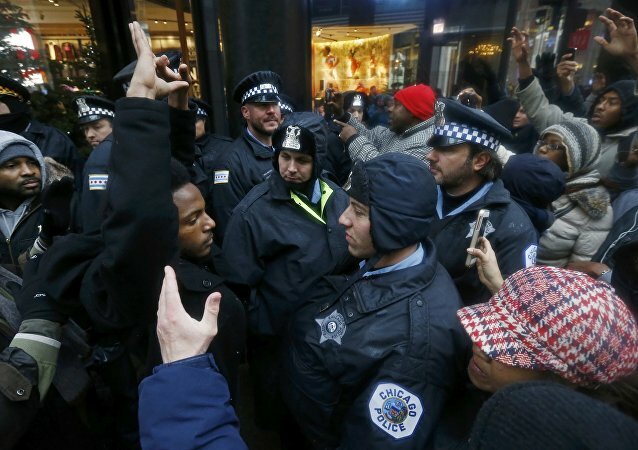 Three people were arrested Tuesday while protesting outside Chicago Mayor Rahm Emanuel’s office, calling for an end to what they say is the excessive use of the controversial “stop and frisk” searches by the city’ police force. Chicago Police Department's torture survivor Mark Clements urged Chicago Mayor Rahm Emanuel to start an independent investigation into the CPD interrogation “black site” to bring to light any alleged police torture. 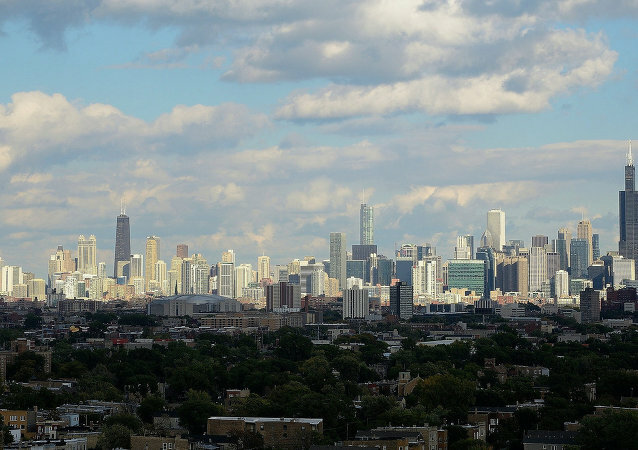 Abusive interrogations have not only been occurring at the Homan facility, but have been identified and raised by lawyers for years, but the city has done nothing, Chicago Committee to Defend the Bill or Rights told Sputnik. 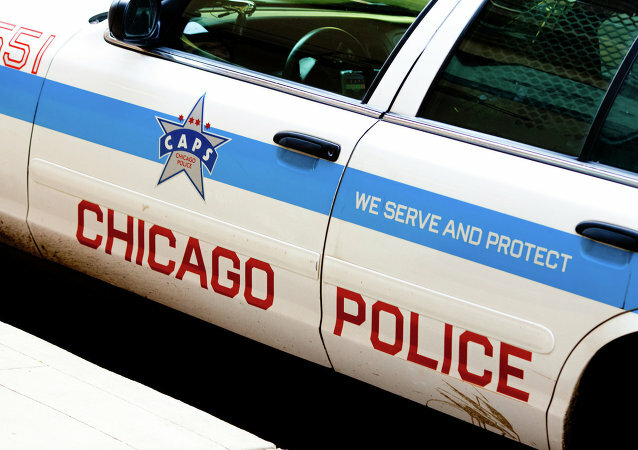 Advocacy group Chicago Anonymous spokesperson Billy Joe Mills said that the Chicago Police Department and Mayor Rahm Emanuel must conduct a public inspection of the police’s interrogation black site at Homan Square. Defense lawyers in Chicago are “scratching their heads” over reports that the Chicago Police Department operates “black sites.” This isn’t because they believe the allegations of civil rights abuses are untrue, but rather that they’re more widespread than indicated.